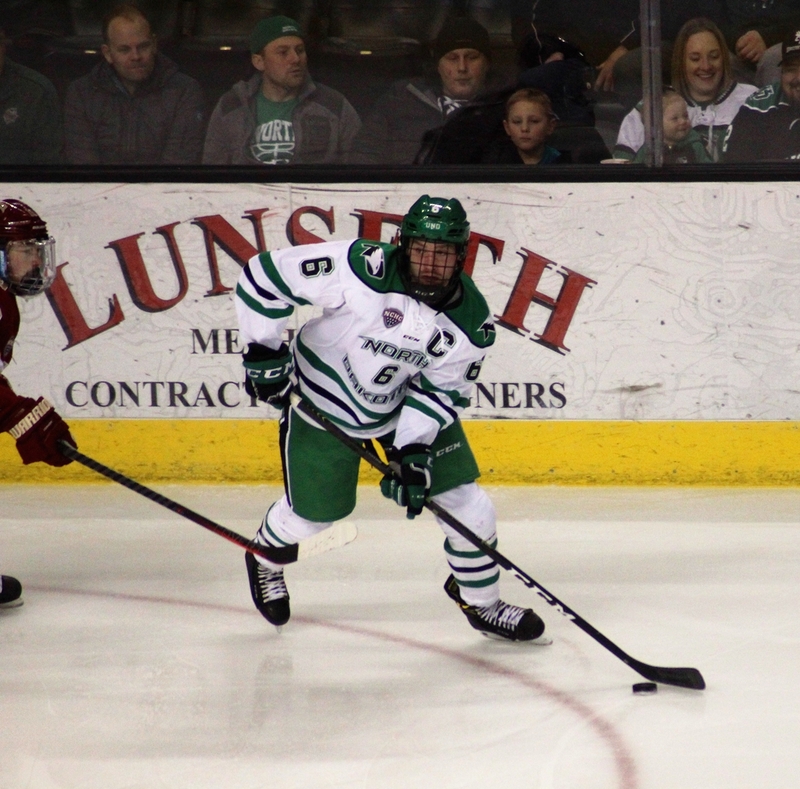 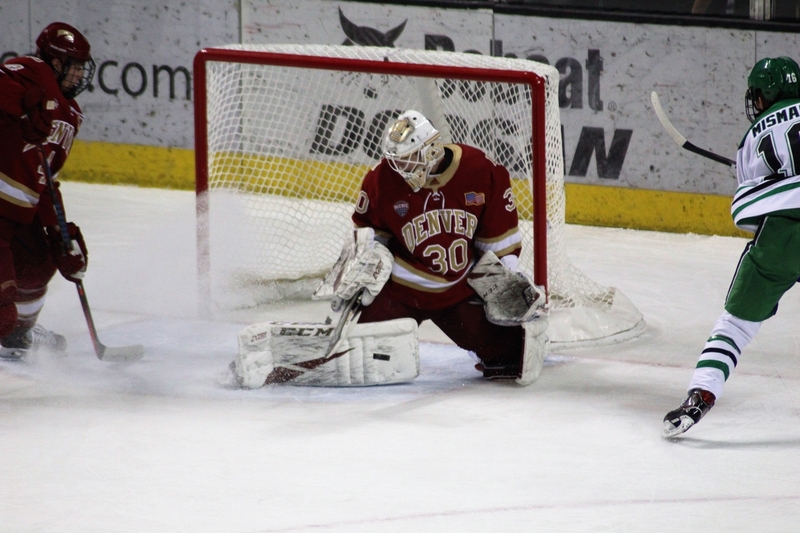 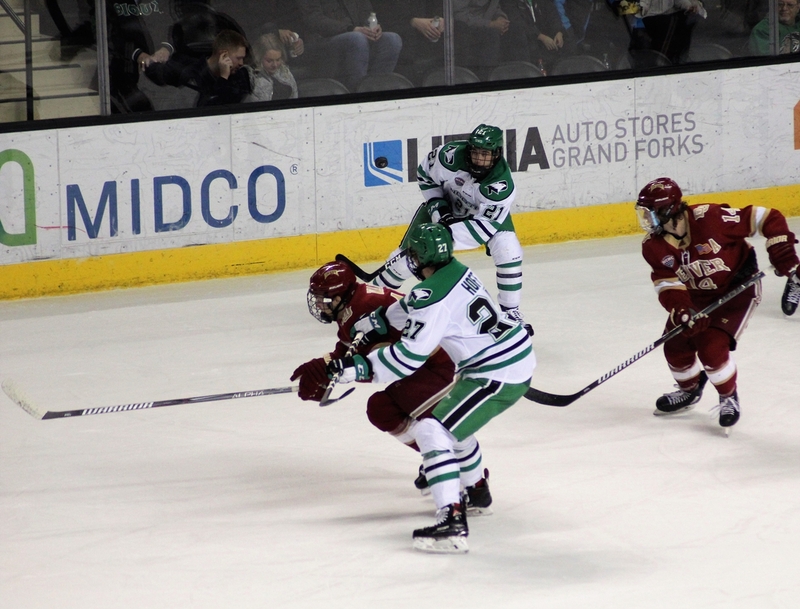 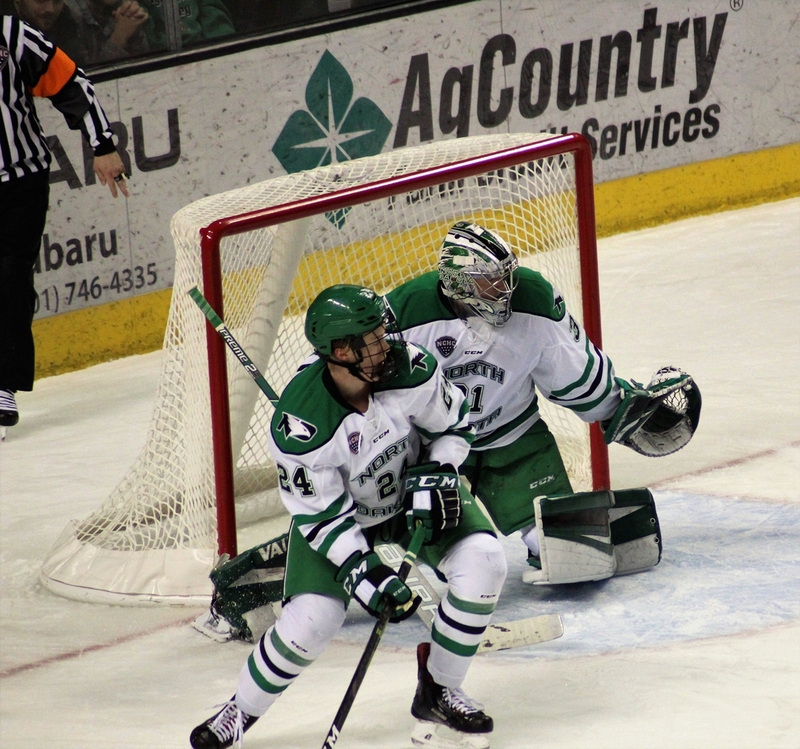 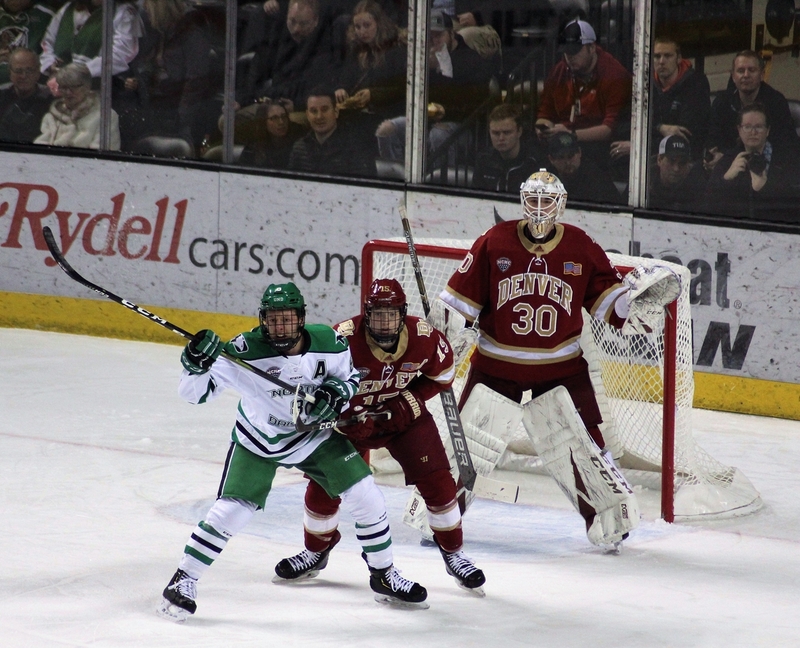 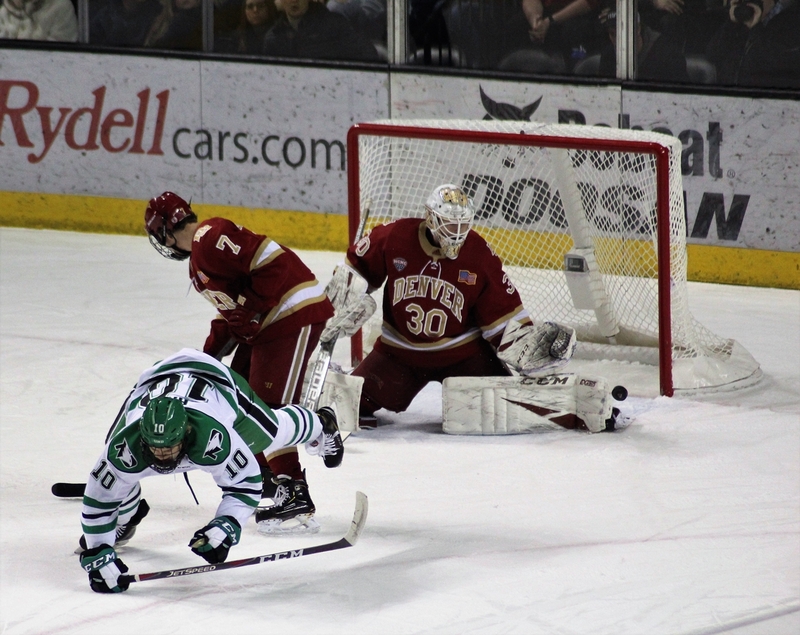 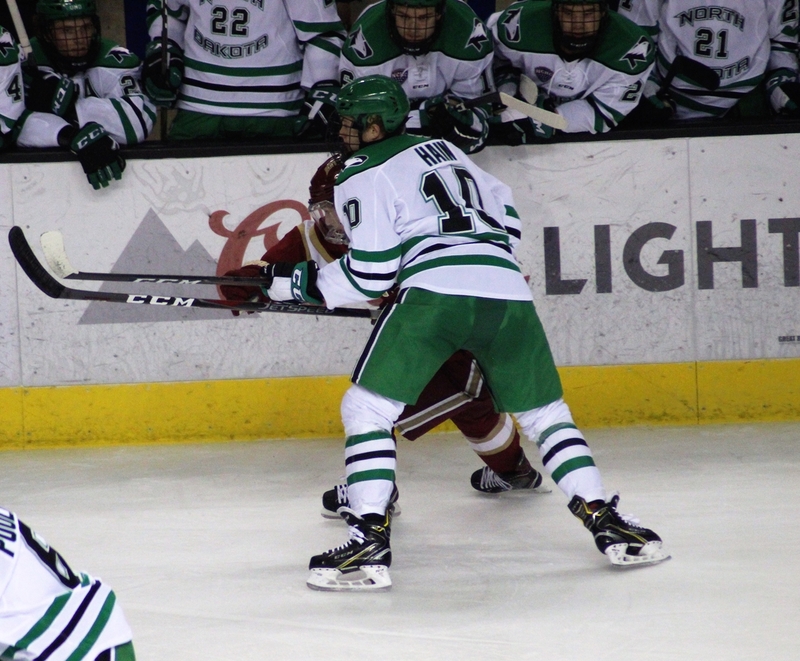 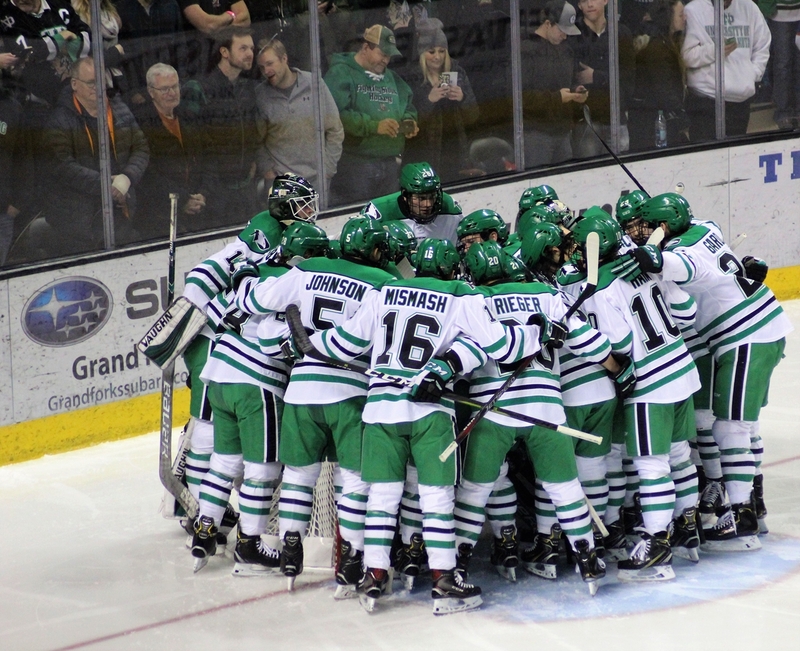 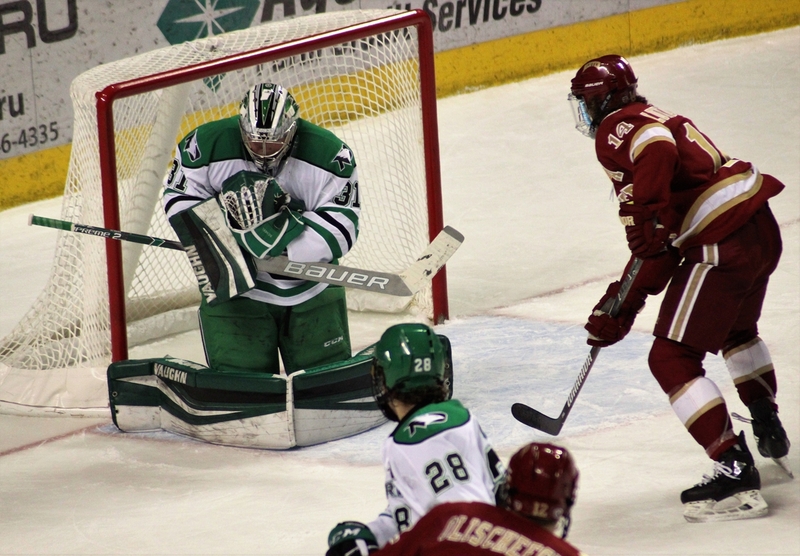 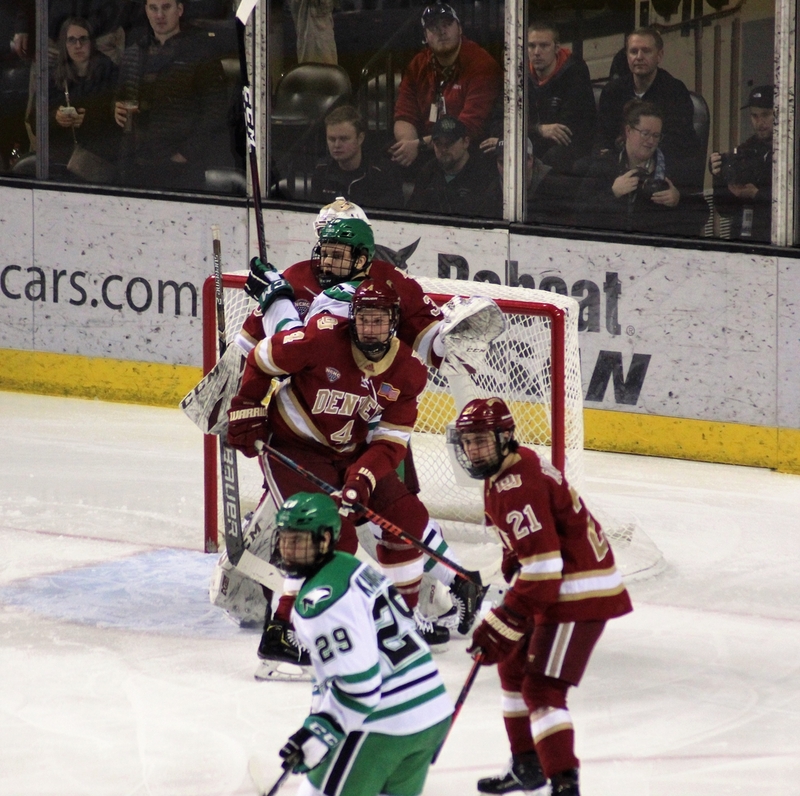 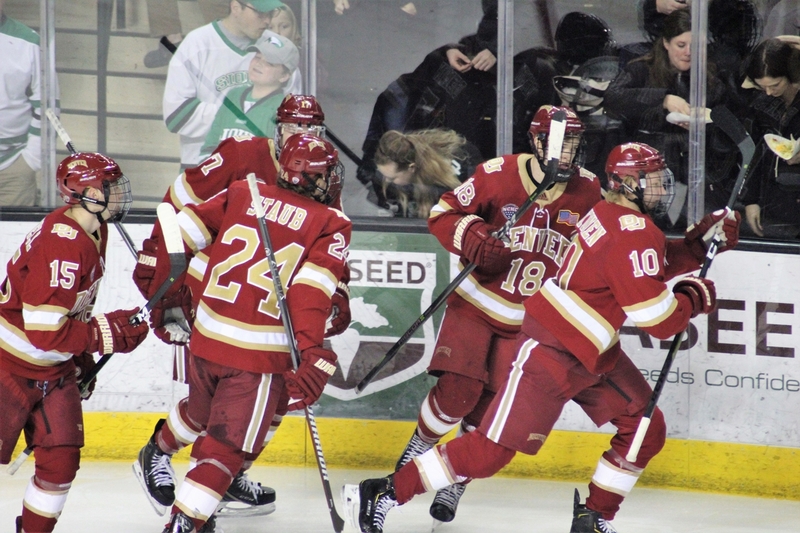 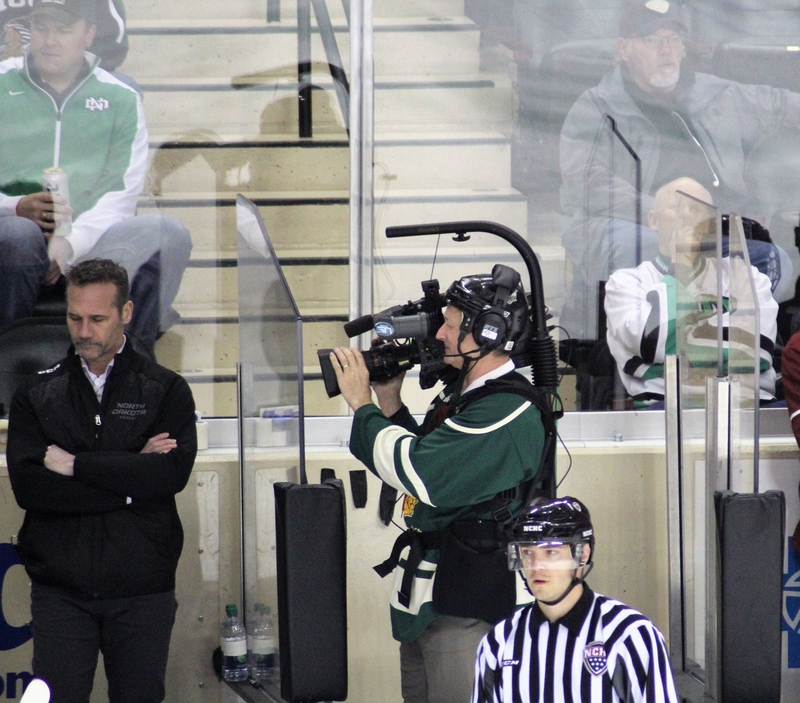 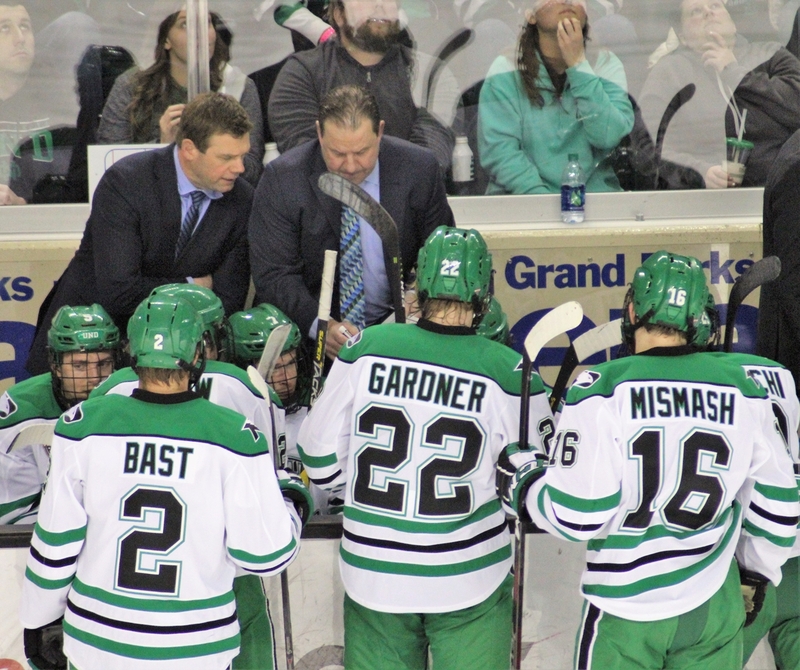 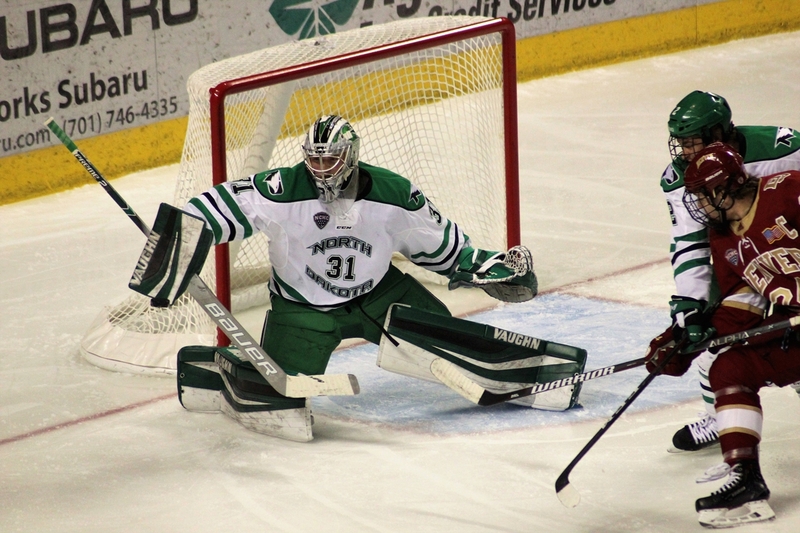 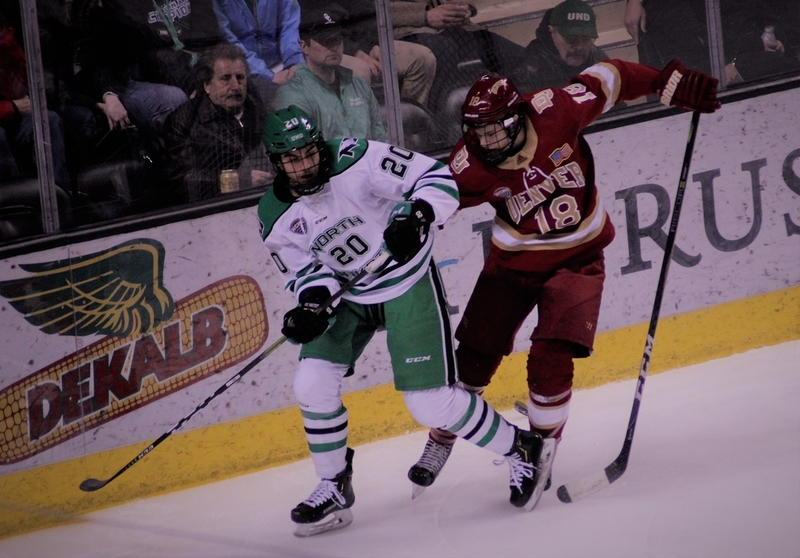 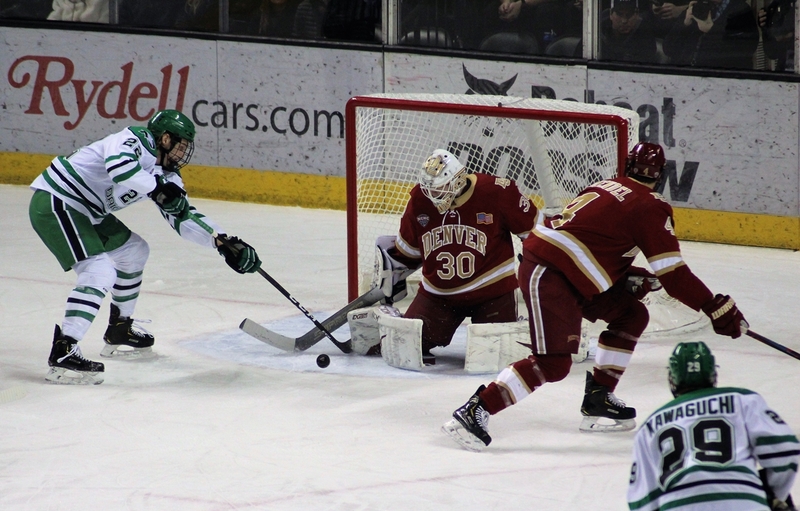 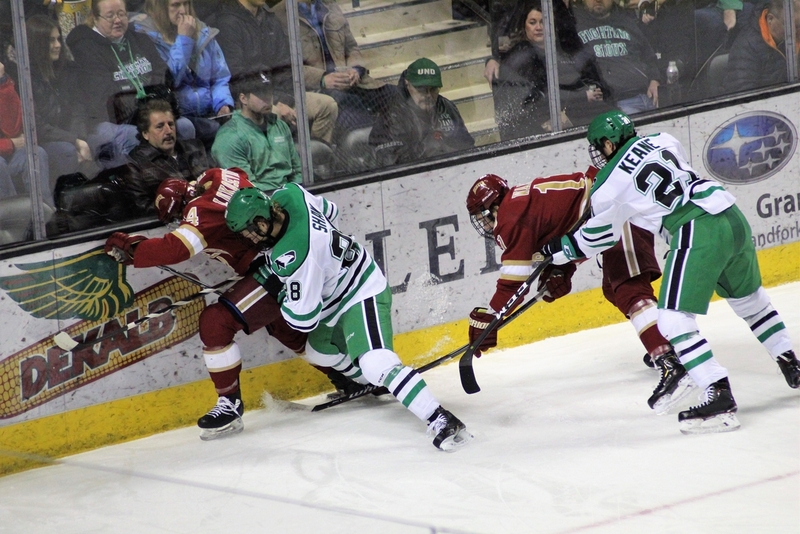 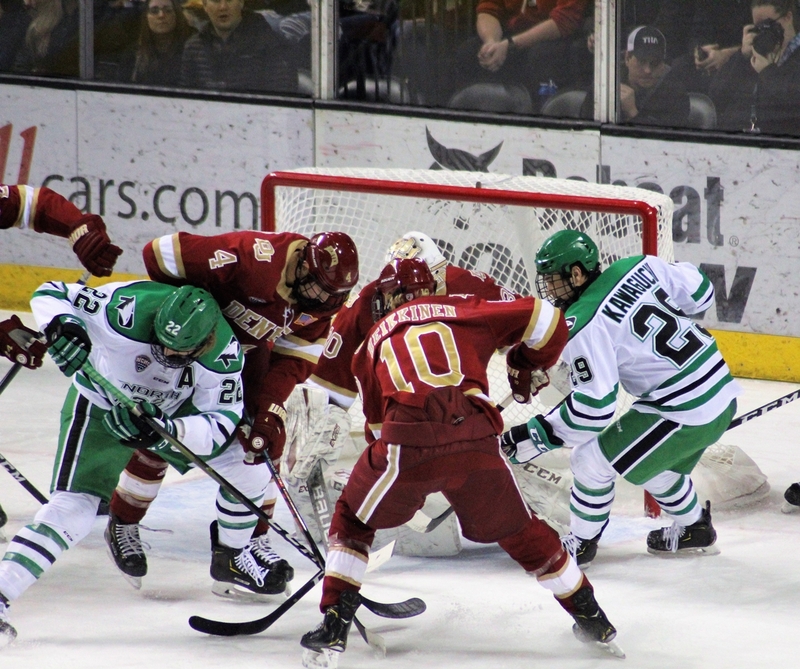 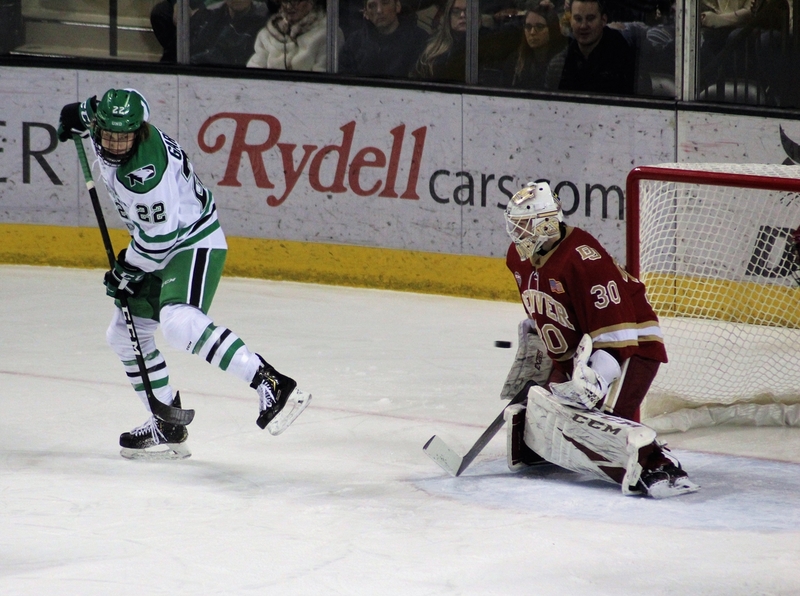 The University of North Dakota Fighting Hawks lost 2-1 in overtime to the Denver Pioneers. 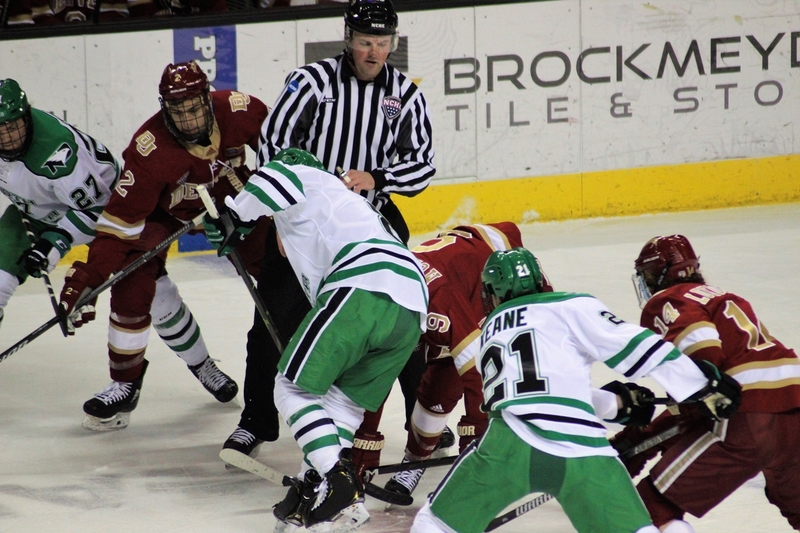 The two teams split their weekend series. 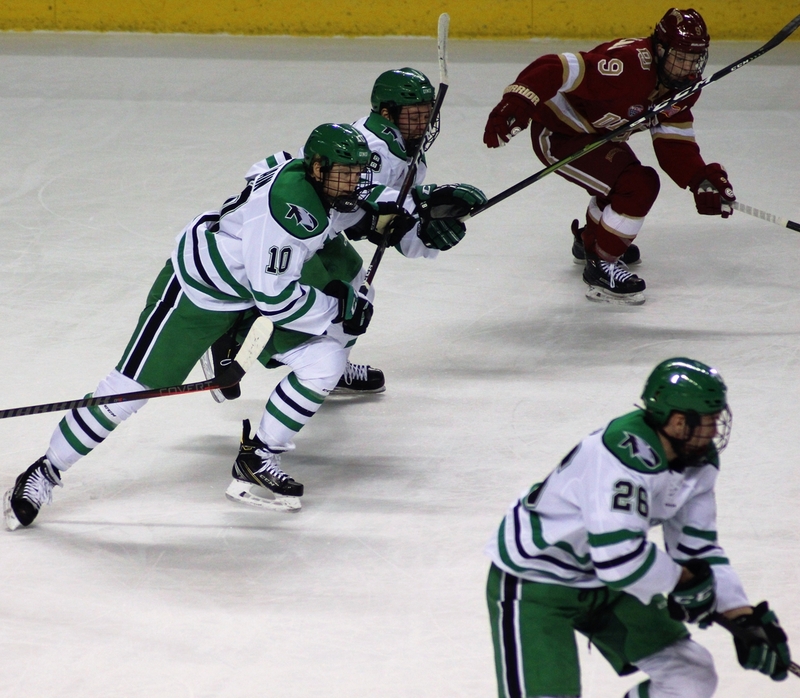 With the loss, UND drops to 9-7-1 and 3-5-0 NCHC.